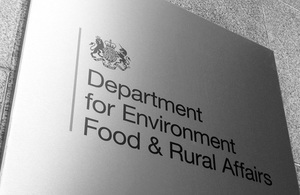 A consultation on new guidelines for considering large-scale waste water infrastructure projects has been launched by the Government today. The policy will be applied to large-scale developments, referred to as Nationally Significant Infrastructure Projects (NSIPs) in the Planning Act 2008. The NPS refers to two projects that may be dealt with by the IPC - the proposed treatment works at Deephams in North East London, and the Thames Tunnel which will carry waste water from sewage overflows which currently run into the Thames. The Infrastructure Planning Commission is due to be replaced by the Major Infrastructure Planning Unit, to be set up as part of the Planning Inspectorate. However, the guidelines announced today - subject to consultation - are likely to be transferred to the new body.